D&P’s Expert Design and project input coupled with Tony’s Success mindset has helped him achieve his initial business goals which were to strike a license deal and for his company to launch its own version of the product. We wish him every success as he continues to move forward strongly with ‘Freefold’. 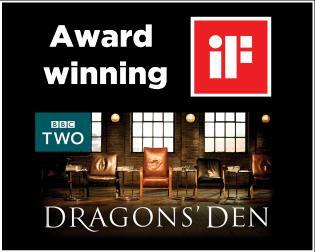 D&P were approached by Inventor and Entrepreneur Tony Higson who was featured on BBC2’s Dragons Den Series. The brief was to take an already ‘good ‘ product and make it ‘great’. We were asked to further develop and commercialise Tony’s original prototype for the product. There was also to be a new bag design targeted to a specific demographic, as well as concepts for a range of luggage products to compliment the freefold system.